CNY is coming yet again! Getting busy preparing the party you'll be hosting? If you need an idea for favors, give away some mints! 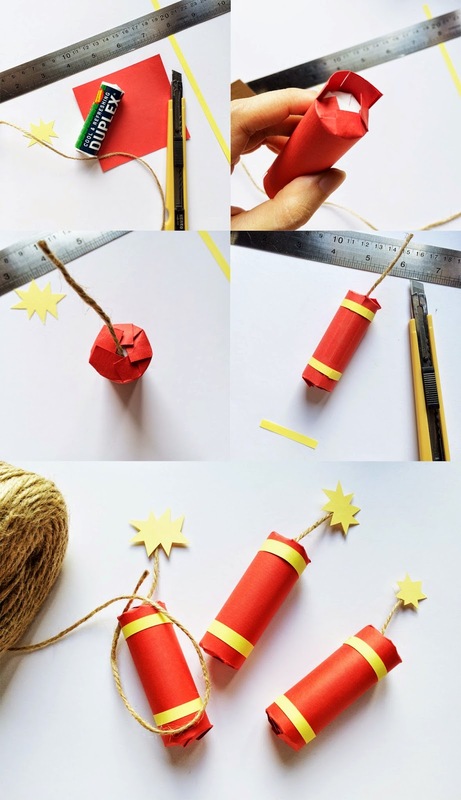 It's affordable and hey it looks fun in firecracker packaging! I've been looking at some other dynamite/4th-of-july favour packaging ideas and decided to wrap just a small mint roll instead of using toilet paper roll filled with lots of sweets and such. This one is pretty simple and easy to do. Get some scrap red and yellow papers and some strings, and get the kids to help for some extra fun (and mess).